Style & Sensibility: I heart message cookies! Apparently williams-sonoma has started selling some pretty adorable cookie cutters! 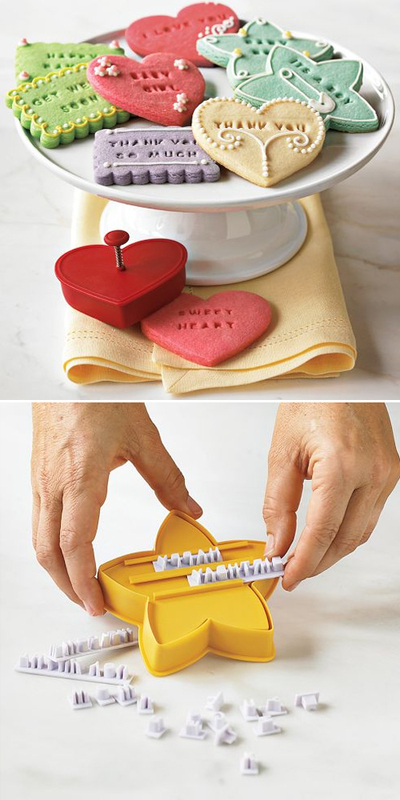 These would make super cute DIY valentine's for the upcoming holiday (cough cough - just a reminder!!) and they would make great treats on a dessert table at a bridal shower or even favors at the wedding itself.